From descriptions of the failed potato crop to calls for more sources of employment for starving men, the description of Leitrim’s starving have come to light following a new study into Famine Relief Papers from 1844-1847. The study shows the real-life scale of the destitution faced by Irish people in the lead up to the famine, providing an intimate insight into a defining moment in Irish history. The Relief Commission and subsequent relief committees around Ireland were formed just prior to the official beginning of the famine to oversee relief efforts, distribute food, collect information and advise the government on the famine, the people and aid efforts. Soup kitchens were set up, but in 1847 the government shut them down, anticipating a better crop which never materialised. Another piece of the relief plan was creating government work projects, so that those who were able could earn money to buy food. During the Great Famine over 1 million people died, and a further million left Ireland. More than a century and a half later, Ireland’s population had still not returned to pre-Famine levels. Hand-written letters and documents provide first-hand accounts of the levels of destitution faced by starving people in Leitrim. On 23 March 1846 A Moore, PLC forwarded an extract from the minutes of the Mohill Board of Guardians to the commission. The minutes expressed their concerns of the levels of destitution and the failure of the potato crop. “The Guardian of the Mohill Union having carefully collected every information in their power relative to the state of the poor and their measures of supporting themselves, have come to the following resolutions. “That they entertain the most serious apprehensions as to the measures in their reach of the poor offices union to provide for their families. On 29 March 1846 Sub-Inspector Wray, to Colonel Duncan McGregor, Inspector General of the Constabulary, sent a report to the commission of a raid by three men on the residence of Widow Lemon of Gortnacamdarragh to warn her son, Patrick, against taking up the position of driver on Dr Crawford's lands in Corduff. On 14 October 1846 subscription lists and certificates were sent to the commission. Within this was a note by Captain RG Layard on his report of the County of Leitrim. On 25 June 1846 JC Walker of the OPW wrote to the commission enclosing an extract from Lieutenant Baillie's report on the barony of Rosclogher. On 22 February 1847 Patrick Browne, poor law guardian to the Parish of Aughrim, wrote a letter to Colonel Duncan McGregor, Inspector General of the Constabulary. His letter noted 16 deaths in the parish in the last week and noted the difficulties people had in affording proper burial for their dead. 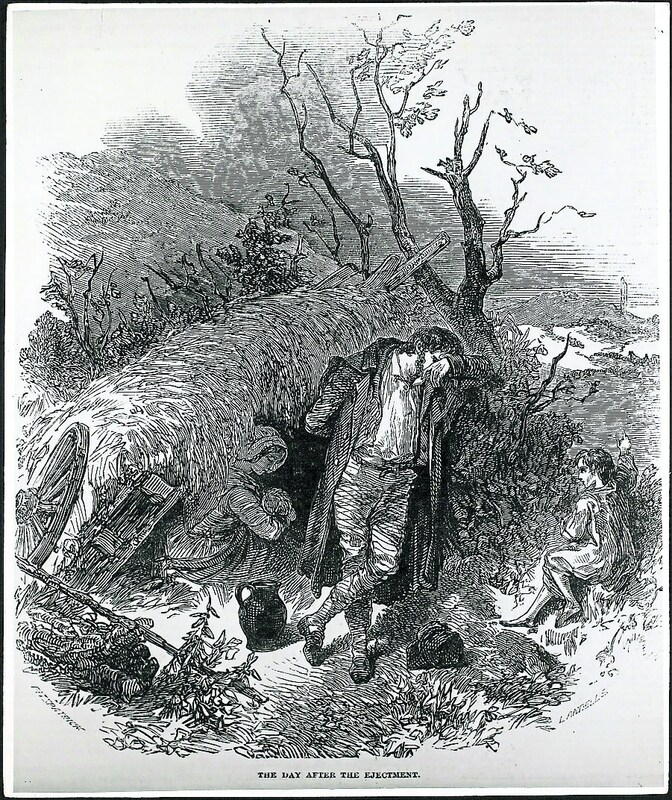 Ancestry’s Joe Buggy commented, “Documents and letters sent to the Famine Relief Commission provide a unique insight into the level of destitution, pain and hunger around Ireland during this time. “From the collection one can sense the rising panic, with stock and food levels rapidly running out and committees pleading with the commission for help. Ancestry is the world’s leading family history site containing the largest collection of family trees with over 100 million family trees from over 100 countries. In previous years they have completed new research into Irish collections including records of Irish convicts sent to Australia and an interesting look at Irish first names that are becoming endangered. To search the Famine Relief Commission Papers log onto www.ancestry.ie. The records are searchable by name, date and the county in which they occurred.